Today I turned 55. Actually at 5AM. Before 9AM I had already received at least a dozen birthday greetings, thanks to modern technology: phones, emails, and Facebook. Like most people having a major birthday I’ve been contemplating my life the last few days. I have some random thoughts about it. My first thought is I’m half-way through my life. It may seem ambitious but I feel like I’m 30 so I have every reason to believe I can live to 110, at which point I should feel like I’m 60. Deciding to live that long is liberating. You see, sometimes I get in a panic that I won’t have enough time to do everything I want to do before I die. Now I do. I have big plans. I feel like everything I’ve done in the first 55 years has groomed me for the marvelous things I will do in my next 55 years. I have achieved some impressive accomplishments but I’m more excited about my future potential. You may find it strange that I think of 55 as a beginning. Many folks work for Freedom 55, when they can stop working. For me retirement is not an option. It seems to me that when people quit having purpose in their lives they die. Of course, working for The Man is not always a good thing. But working at something is one of the keys to longevity, at least in my observation. 55 can be scary. I’m now in the final demographic, 55+, commonly used by surveys and radio stations. The connotation is that everybody older than 55 doesn’t matter as much as the targeted 18 to 24 or 25 to 54 groups that can be counted on to spend lavishly on consumer goods. We 55-plus-ers are not good consumers. First of all we have accumulated a lot of stuff so far. There is little that we need. More importantly we now know the secret that stuff doesn’t bring happiness. We’re more apt to crave time than things, time to spend with people who matter, time to write or read those books, time to enjoy a sunrise with an avian symphony soundtrack. When you’re young, time seems to be an endless commodity. When you’re 15, you have so much of it that you can actually claim to be bored! Boredom is rarely experienced by a 55 year-old. At 55, money is different too. We still need it to live but we tend to no longer live to need it. Creature comforts are less appealing, perhaps because we have everything we need and more. I’m more interested in making money so I can share it and do good deeds with it. I’m focused more than ever on the legacy I will leave. 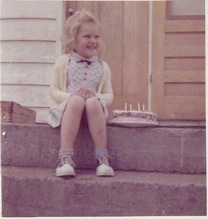 How does a 55 year old celebrate this auspicious birthday? The long weekend forced the delay until Tuesday of the traditional May 17 lunch where I meet with four of my friends who share my birthday. Today I’m going for lunch with an elderly friend who recently battled cancer. She seems to be winning. We will celebrate our victories: we’re both still alive! I intend to spend a few hours in my garden this afternoon. It’s my meditation. I decided that what I really wanted for my birthday was to spend some of my precious time with my four girls, my two daughters and two granddaughters, the Grandtoys. We plan to tour the country popping in on friends and relatives. At this stage in my life, I am all about connections: connections with family and old friends, connections with strangers who are potential new friends. I love the truth that we are all connected. As the years add up I’m figuring out what really matters. Maybe that’s the real Freedom 55.